The chattering DC classes are already speculating about the Democrats’ plans to subpoena Trump’s tax records and Senate Republicans’ moves to consolidate their hold of the federal judiciary. But amid the DC gossip, a new threat is being overlooked—red flag gun confiscation orders. Red flag laws or Extreme Risk Protection Orders (ERPOs) are the euphemistic label for the gun control push du jure blazing across the nation. 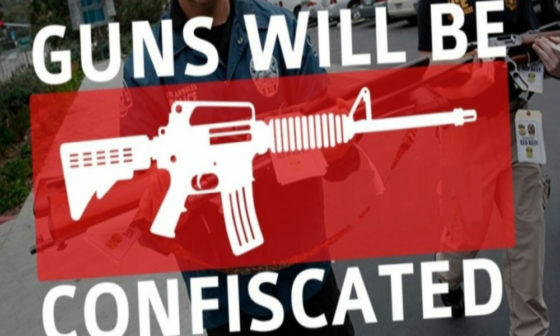 Under red flag laws, law enforcement has the ability to confiscate an individual’s firearms who is deemed a threat to themselves or others. A simple accusation from a family member, friend, or associate will suffice to seize someone’s firearms. These laws, mind you, operate in complete violation of due process. Individuals can take their accusers to court, even though the defendant in question has never been charged with or convicted of a crime. Additionally, the defendant could have their weapons confiscated without even so much as a hearing a before a judge. It could take months before a gun owner would have to appear in court to win back his gun rights. Rick Scott: Former Governor of Florida and Florida’s new Senator, Rick Scott poses an interesting threat to gun rights. Despite his ostensibly pro-gun rhetoric, Scott signed SB 7026 Florida’s most expansive gun control measure in recent history. Pressured by the outrage from the Parkland School shooting, Scott’s SB 7026 contains red flag provisions, raises the age to buy a firearm to 21, and imposes a three-day waiting period for all firearms purchases. Gun owners will need to de-program and recognize that decentralization, not the winner-take-all electoral slugfest we see at the federal level every 4 years, is the best way in securing their gun rights.